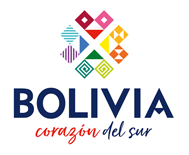 We have almost 50 bus passes that cover both Bolivia and Peru, offering different options depending on where you want to start your trip and how much time you have. Each pass then has its own specific timetable so that´s a lot of timetables! FIND YOUR IDEAL PASS: Use our search function on our passes page to find the best pass for you. PLAN YOUR ITINERARY: With each pass (click DETAILS on any pass) we have an itinerary planner…enter your departure date and see the recommended itinerary for you. If for some reason you just want to see the TIMETABLES, scroll down and choose the best one for you. Click on any of the tabs to see the timetables for our passes departing from that city. Example: Leave La Paz on a Monday and arrive to Cusco on Wednesday. Click HERE to find out more about this pass! Example: Leave La Paz on a Monday and arrive to Cusco on Tuesday the following day. Example: Leave La Paz on a Monday and arrive to Cusco on Thursday. Example: Leave La Paz on a Monday and arrive to Lima on Saturday. Example: Leave La Paz on a Monday and arrive to Lima on Saturday the following week. Example: Leave La Paz on a Monday and arrive to Puno the same night. Example: Leave La Paz on a Monday and arrive back to La Paz on Tuesday the following day. Pickup at central hotels/hostels in La Paz. Tiquina Mirador Viewpoint / Strait of Tiquina ferry crossing. Arrive to Copacabana, drop off at the White Anchor. Boat out to Isla del sol, departure from the White Anchor. Drop off at Yumami at the south end of the island. Walk around the sun temple Pilkokaina and the coast of yumani. Boat departs back to Copacabana from Yumani Port. Bus departs to La Paz from the White Anchor. Strait of Tiquina ferry crossing. Arrive to La Paz, drop off to all central hotels/hostels. Take cash to Isla del Sol as there are no ATMs there. This is a private return boat trip and NOT a guided tour. You will be given an island map and have time to explore the island independently. You will take the boat out on the first day, stay overnight on the island, and return the following afternoon. The round boat trip also includes island entry for the southern community of Yumani (note that community entry fees apply for other areas of the island). Please note that food is not included. Overnight stay with our accommodation partner – Perla del Lago Hotel. Basilica of our Lady of Copacabana – 16th century Spanish Basilica. One of the mostly highly worshipped sacred Catholic sites in Bolivia. El Calvario hill – sacred hill with some of the best panoramic views of Copacabana and Lake Titicaca especially at sunset. Well worth the climb! Meet in our private bus terminal at Alameda Pachacutec 495 (300m after end of Av. del Sol). Map of terminal location here. Pick up for your Titicaca Tour from our partner hostel. Boat out to the Uros Islands for a guided tour of the famous “floating reed islands”. Cruise the highest navigable lake in the world out to the remote Island of Taquile. Guided tour of Taquile. Includes island walk to some of the best viewpoints. Lunch on the island (included). Return boat ride to Puno. Arrive to Puno. Drop off at our partner hostel, a few blocks from the central plaza. Free bag storage and low cost shower use. Free time to explore Puno around the Plaza de Armas and enjoy dinner in one of the many central restaurants. Pick-up from our partner hostel. Overnight return bus to Cusco. Reed Boat Ride (Kontiki) in Uros Islands: S/.10 soles – this is OPTIONAL but the locals will try to sell this to you. Lunch in Taquile – 20 soles for a freshly caught and cooked trout lunch! / Omelette for Vegetarians. Example: Leave Cusco on a Sunday and arrive to La Paz on Monday the following day. Example: Leave Cusco on a Monday and arrive to La Paz on Friday. Example: Leave Cusco on a Sunday and arrive back to Cusco the following Saturday. Example: Leave Cusco on a Sunday and arrive back to Cusco the following Wednesday. Example: Leave Cusco on a Sunday and arrive to Lima on Saturday the following week. Example: Leave Cusco on a Monday and arrive to Lima on Thursday. Example: Leave Cusco on a Monday and arrive to Lima on Wednesday. Example: Leave Cusco on a Sunday and arrive to Lima on the following Saturday. Example: Leave Cusco on a Monday and arrive to Copacabana on Tuesday the following day. *MAIN ACTIVITY IN COPACABANA: Isla del Sol boat trip (4hr round trip). Departs 14:00pm from the White Anchor. Possible to stay on the island and return the next day. Example: Leave Copacabana on a Monday and arrive to Cusco on Tuesday the following day. Example: Leave Lima on a Monday and arrive to Cusco the following Monday. Example: Leave Lima on a Monday and arrive to Cusco on Saturday. Example: Leave Lima on a Monday and arrive to Cusco on Thursday. Example: Leave Lima on a Monday and arrive to La Paz on Thursday the following week. Example: Leave Lima on a Monday and arrive to Cusco on Saturday the following week. Example: Leave Lima on a Monday and arrive to La Paz on Sunday. MAIN ACTIVITY IN PUNO: 2-Hour, Full Day or Homestays Tours (1 night) are available at Lake Titicaca. Luxury bus to Tambo Colorado. Tambo Colorado – Take a tour in the Incan ruins located near the coast. It spands over 3 acres, where it was once used as a administrative and control point on the main road from the coast to the highlands. Private room upgrades available from $5 per person per night (email for details and availability). Want to book your own accommodation? Deselect accommodation box during booking process (refund will be given in Peru Hop office). *Private transport from Huacachina to Nazca airport. *Private transport from Nazca to Huacachina. The maximum weight limit for the flight per person is 95 kilos. An additional cost of $80 will be added should you exceed the given weight limit. Want to book your own accommodation? Deselect the accommodation extra box during the booking process and ticket price will be reduced accordingly. Tambo Colorado – Take a tour in the Incan ruins located near the coast. It spans over 3 acres, where it was once used as an administrative and control point on the main road from the coast to the highlands. *Private minibus from Huacachina to Nazca airport. *Private minibus from Nazca to Huacachina. Example: Leave Puno on a Monday and arrive to Lima on Saturday. Example: Leave Puno on a Monday and arrive to Cusco on Saturday. Example: Leave Puno on a Monday and arrive to La Paz on the same night. Example: Leave Arequipa on a Monday and arrive to Lima on Wednesday.